CarePathConnect is a network of clinical genetic counselors and healthcare providers established by Family Care Path. This exclusive provider organization offers genetic counseling to patients who, through the use of MyLegacy, were identified to be at increased risk for certain hereditary conditions. Patients are connected to the appropriate provider for consultation using a worldwide video telemedicine network. CarePathConnect’s genetic counselors are board certified as well as state licensed (where applicable) and are credentialed by Family Care Path’s Medical Advisory Board. Our practitioners have access to the Family Care Path clinical decision support tool, MyLegacy. The MyLegacy clinical decision support application identifies individuals who are at increased risk for certain hereditary conditions based on their personal and/or family history. These individuals are offered the opportunity to schedule an appointment with a CarePathConnect genetic counselor or other healthcare provider for discussion of their results and additional evaluation if indicated. As experts in their field, genetic counselors are highly trained to recommend genetic tests, discuss benefits and limitations of genetic testing, and provide test result interpretation as well as further management recommendations. This information is shared with the primary care physician, to develop a customized care plan. 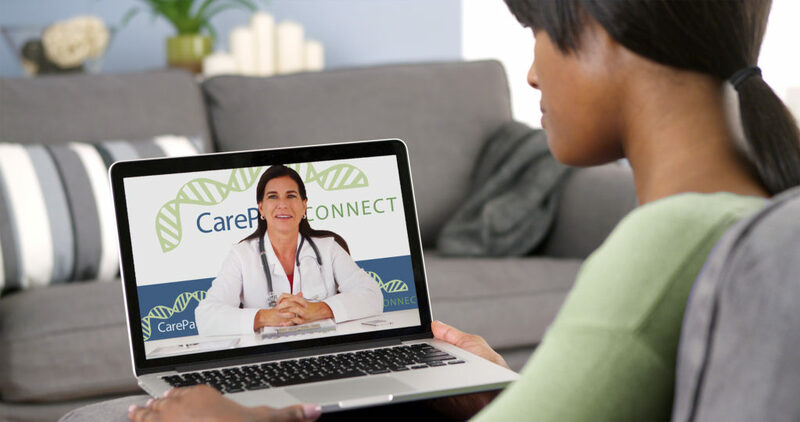 CarePathConnect providers consult with their patients via a HIPAA-compliant video streaming platform which ensures that medical information remains safe and secure. The simple interface is available from any mobile device, tablet or computer with internet access allowing service to be conveniently rendered and received from the comfort of home or office. The intent of genetic counseling is for patients and their healthcare team to increase understanding of a patient’s predisposition for certain genetic diseases. This may also include discussion of implications for family members who might be at risk for certain disorders. In addition, genetic counseling includes learning about the risks and benefits of genetic testing as well as development of a personalized medical care plan based on genetic testing results. 28% of physician genetic test orders reviewed by genetic counselors are modified or cancelled(1). 77% of internists rate their knowledge of ordering and interpreting genetic tests as poor(2). 53% of internists do not have access to geneticists or genetic counselors (2).